This online SHA224 Hash Generator tool helps you to encrypt one input string into a fixed 224 bits SHA224 String. 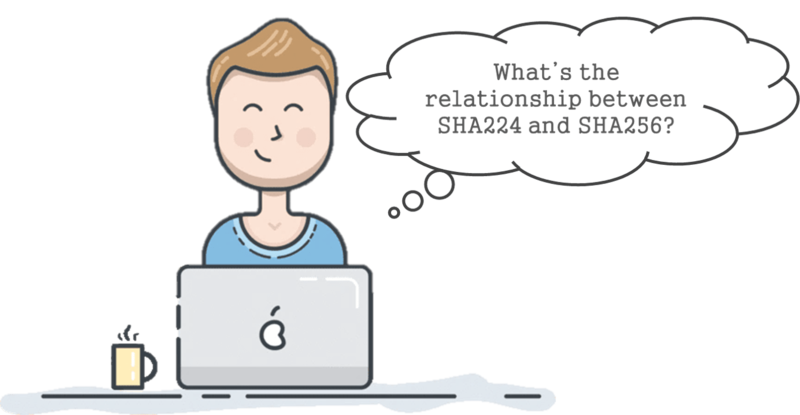 Paste your Input String or drag text file in the first textbox, then press "SHA224 Encrypt" button, and the result will be displayed in the second textbox. SHA-224 is also called "Message Digest", SHA-224 is designed by The National Institute of Standards and Technology (NIST), it's a hash algorithm based on SHA-256. First, the SHA-256 value is calculated; Then, shorten the SHA-256 value to 224 bits. Does SHA224 Hash Generator Online Tool log my data?